An eclectic range of textiles that draws inspiration from South East Asia and is stitched together through a sense of modern Australian design. Ahnya Chi draws from a six hundred year old heritage that began when early settlers went from China to the Malay Archipelago. 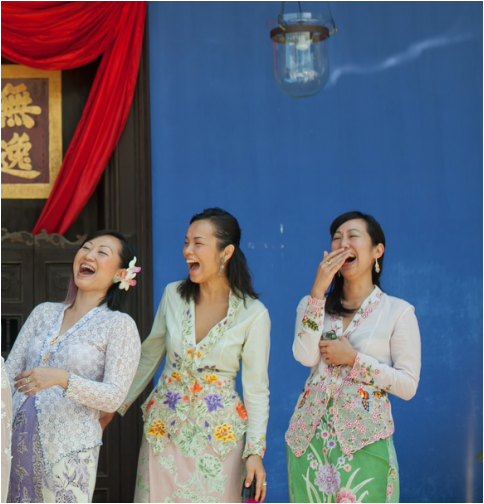 They formed new identities and their children became known as Peranakan (locally born). The Peranakans were well known for their impeccable and rather ostentatious tastes in home decoration. Today, the modern interpretation seen in this range takes the essence of the Peranakans and makes it relatable to the discerning home owner. A graduate in communication design Gwyneth Lim was born in Malaysia. She worked in Kuala Lumpur for fifteen years before becoming a resident to Australia. During her transition of assimilating into Perth, she began to have a new appreciation for her Asian roots. The process of designing has allowed her to introduce what she values of her culture, and its aesthetics to Australia. It is through this process that Ahnya Chi was born.